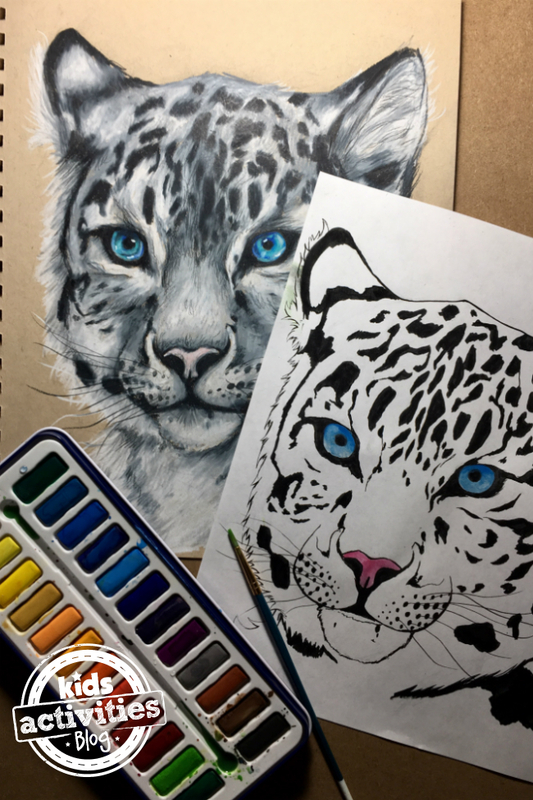 This snow leopard coloring page is a wonderful afternoon activity as there are lots of details to color. It’s excellent for those who love animals. If you like coloring pages like this, also check out this Cheetah coloring page. Coloring can be a very relaxing activity for not just children, but adults as well; it’s a great way to wind down at the end of the day, especially with some nice music turned on. These coloring pages were made by me. To see more of my artwork, check out my Instagram. You can also watch Facebook Live videos of my drawing and coloring during weekdays on Quirky Momma. So we find this method which is so useful for us.